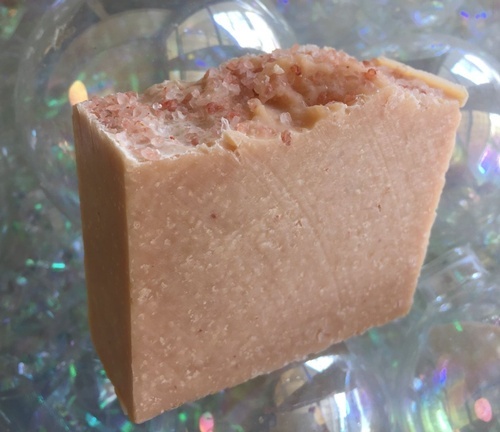 Fountain Alley BodyCare is a brick and mortar store in Madison, Indiana carrying a premium handmade bodycare line that is handcrafted on site! Using only edible, biodegradable, natural ingredients and essential oils for their aromatherapy benefits and great scents. 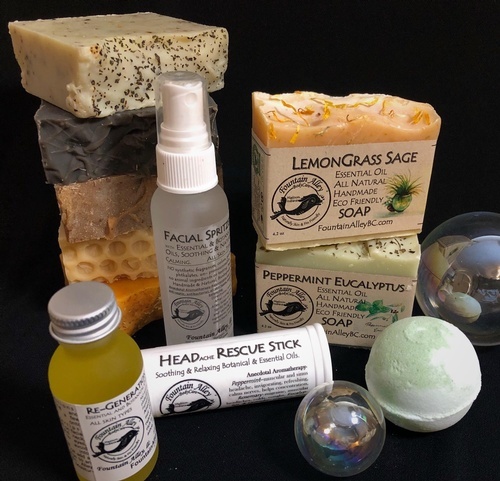 With over 45 varieties of soaps and over 140 different products made right here it is an aromatherapy adventure just walking into the store. 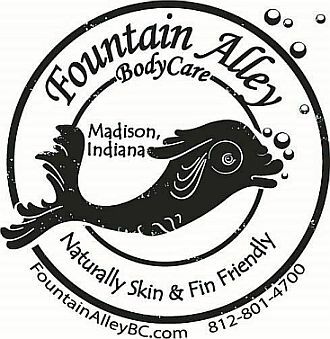 Fountain Alley BodyCare has won numerous awards including 2011 Indiana Main Streets Business of the Year (under the name All Good Things, changed in 2018), Madison's Best Specialty Shop 2018/19, Madison's INMadisonIN best shop, Business of the Month for Foundation of Wellness and Education 2014. They've been featured in Indiana's Honest to Goodness Indiana Magazine and AAA's magazine. 3 of the soaps proceeds benefit Monarch Habitat and Education efforts. 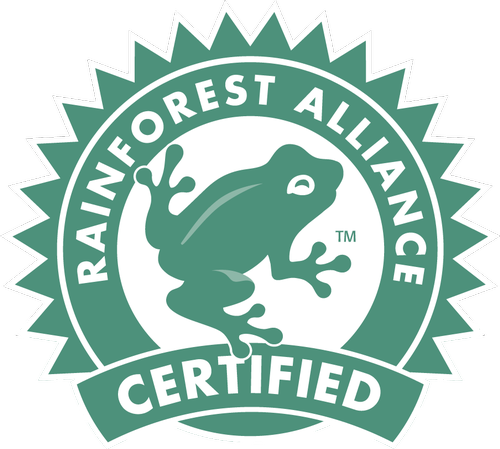 All of the Palm oil used is Rainforest Alliance Certified and Organic. 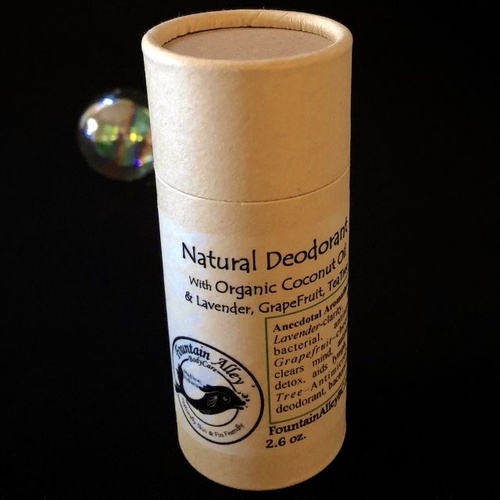 Much of the packaging used throughout the store and all at point of sale is biodegradable. Visit our Website for online shopping! Downtown Madison 1/2 block east of Broadway on Main Street. 1/2 block west of the Comfort Station and parking across from the station.